Having lived locally for a number of years, Steve possesses a fantastic knowledge of Cannock, coupled with the skills, determined and passion needed to ensure that the process of selling or renting your property is simple, quick and stress-free. With over 20 years’ experience in retail management, Steve’s people skills are second to none. This professional background stretches from running supermarkets and pharmacies to managing tourist attractions, and the diversity of this experience means Steve has a wealth of knowledge when dealing with people of different ages, backgrounds and needs, and ensuring that their requirements are met. Steve made the switch from his career in retail after dealing with other local estate agents, whose service he felt left a lot to be desired. 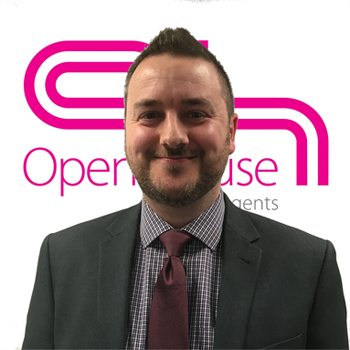 Having assessed his own experience as a customer, Steve has applied that to his work at Open House, and now runs his own property portfolio. Passionate about property and customer service, Steve is the ideal person to help you take the next step in selling or renting, and he would love the opportunity to discuss your needs with you.